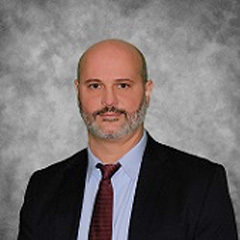 Dr. Rodrigo Falcao, is a board-certified Psychiatrist since September 2013. Dr. Falcao strongly believes that psychiatric treatment goes beyond medication prescription only, and emphasizes patient-doctor relationship. Dr. Falcao likes to collaborate with his patients. He takes time to listen to his patients, educate them about psychiatric illnesses, discusses treatment options, analyzes risks and benefits, and ways to achieve long-term stability. He understands that everyone's needs are different, some patients benefit from medications, some benefit from psychotherapy, and some patients may require both. He completed his residency training at Jackson Memorial Hospital/University of Miami Miller School in June 2012. In addition to his training in the U.S., he also completed a two year residency program in psychiatry at the Institute of Psychiatry of University Federal Rio de Janeiro (IPUB) in 2005 in Rio de Janeiro, Brazil. After completing his second residency, Dr. Falcao has worked for the last 6 years, serving the community by joining Community Mental Health Clinic in Springfield, MA. Dr. Falcao provided care to an extensive Hispanic population in that area, most of the individuals are originally from Puerto Rico. At the mental health clinic, Dr. Falcao treated a variety of psychiatric disorders, especially depressive disorders, PTSD, and bipolar disorder.